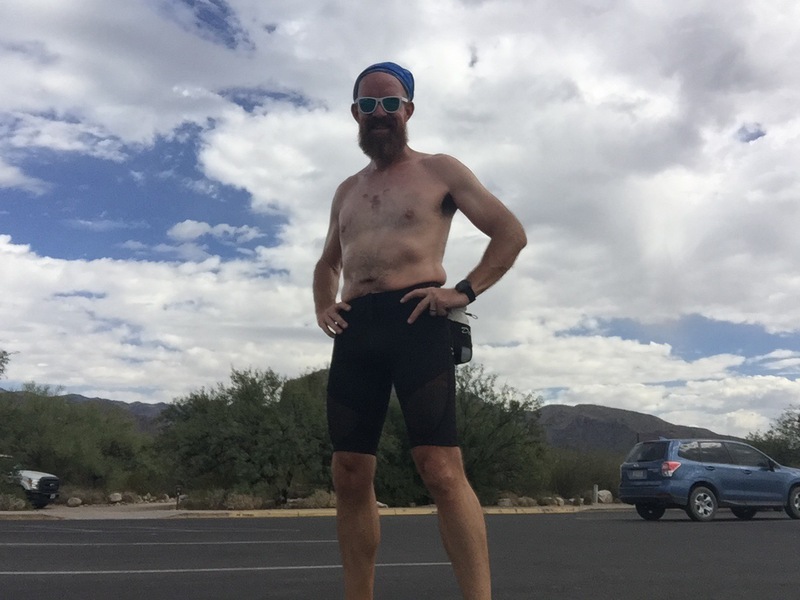 After a 9 mile run up Phoneline Trail in Sabino Canyon, and then back down again along the tram road, I feel I have a pretty good grasp on the “Dougies” I was testing and now, without further ado.. here’s my review! The CWX compression shorts (platform) on which the Dougies are built were new to me and a welcome item. It makes sense too because adding weight in water-bottles to anything else and your shorts would constantly be down around your ankles. The bottles I used were two Ultimate Direction 20oz bottles. I think the Dougies would do better with a flator oval flask instead of the round bottles but once I cinched down the waist string, even with the round bottles sticking out just that much more, the Dougies stayed up and on (very important in a running short!). It was a little odd at first, having weight in that area. Perhaps because of the awareness or because of the weight itself, my hips and my glutes seemed to be working harder or working more consciously – I felt the muscles. What I didn’t feel, which was a releif, was a ridiculous bouncing on either side. The fit was snug and the built-in draw-strings kept the bottles securely in their holsters. The draw-strings were excellent and easy to use both taking the bottles out and putting the bottles back. At one point I did miss and ran for about a mile before realizing that the draw-string wasn’t secured around the head of the bottle – I wouldn’t have noticed had I not gone for the bottle. This speaks to the snug fit of the bottle in the holster itself and reinforces the idea that the bottles are tight enough that they don’t bounce and most likely, even on a trail like Phoneline, won’t bounce out if you somehow fail to secure the draw-string like I did. That’s pretty cool. The double pocket in the very back of the shorts, part of the CWX design, was extremely useful for my car key and several gels. Everything about the Dougies, from the holsters and secure draw-strings to the organic features of the CWX shorts themselves was really nice for portage on the trail. 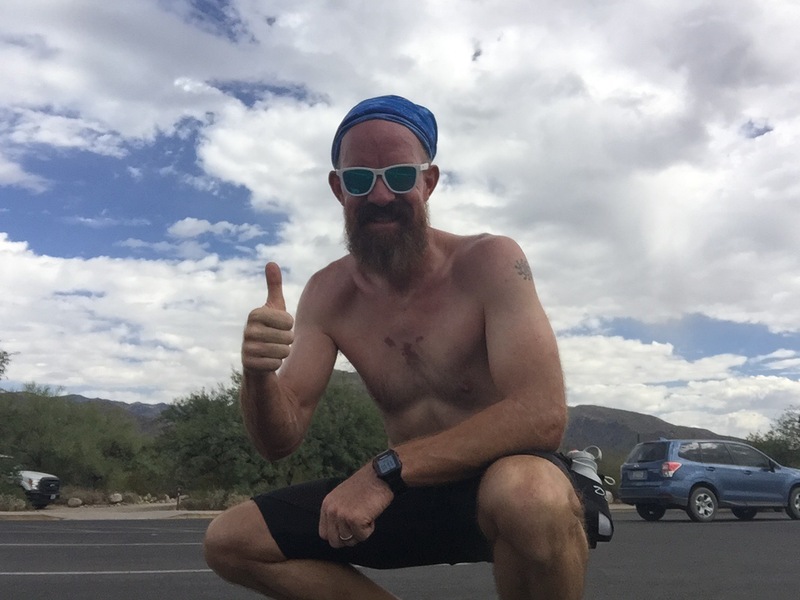 As I said before, I can imagine uses for these shorts for shorter runs and extremely long runs. Imagine, two hip-flasks, two chest-flasks, a 2L bladder and two hand-helds PLUS.. a water filter in the back pocket or in your hydration vest? That’s a TON of water, heavy, but on a slow 100-miler might be just the thing. Especially for training when you have no aid stations! Legit! S.A.R.A. volunteers could drastically incrase their carrying capacity and range simultaneously, not to mention recreational runners and elite-competition athletes. Yesterday, at The Running Shop, a Sherrif’s department officer came in looking for something that wasn’t going to be in the way and that he didn’t have to carry in his hand. A vest was too much, a belt didn’t sound comfortable so, I told him about the “Dougies” – he said that sounded exactly like what he needed.